Greater Bristol area, how leaving the European Union would immediately solve all Britain’s problems forever and, finally, immigrants. exclusively reveal the yuletide priorities for fine, upstanding, anti-politics establishment rebels everywhere in the 12 Days of UKIP Christmas! 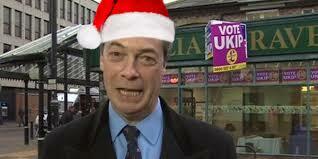 On the first day of Xmas, Nigel Farage gave to me…. Come to think of it, we haven’t actually cleaned this chimney in a few years. Do you think its wise Marjorie? That’s quite a lot of smoke. We might have to evacuate the house, just as a temporary measure, and… oh no. It’s raining again. Bloody queers. On the second day of Xmas, Nigel Farage gave to me…. 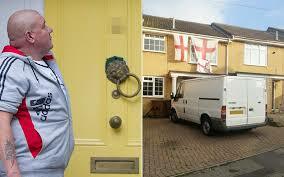 …a special delivery of honest, pure-bred, working class British turkeys, all voting for Christmas. On the third day of Xmas, Nigel Farage gave to me…. up there in hard-work land, far from an out-of-touch political elite. That’s the spirit old chum! On the fourth day of Xmas, Nigel Farage gave to me…. On the fifth day of Xmas, Nigel Farage gave to me…. weather proves it. Go outside in winter. You’ll see I’m right. On the sixth day of Xmas, Nigel Farage gave to me…. some ‘bongo-bongo God’ that has no place in a forthright Christian land. On the seventh day of Xmas, Nigel Farage gave to me…. …a visit to hospital, where I’ll be treated for cirrhosis of the liver. Probably by an Indian. On the eighth day of Xmas, Nigel Farage gave to me…. never marry anyone who needs domestic help from Eastern Europeans to prepare a twenty-pound turkey and all the trimmings for sixteen people. Put your back into it love! On the ninth day of Xmas, Nigel Farage gave to me…. …no bloody sprouts at dinner either. I don’t know how they do things over there in Belgium (although however they do it, I don’t agree) but I’m not having anything named after Brussels touching my authentic English gravy, done in the traditional lumpy style. Not now, not ever. On the tenth day of Xmas, Nigel Farage gave to me…. Norton rubbish. Then I’ll finish myself off with a classic episode of Top of The Pops featuring Legs and Co, probably presented by Jimmy Savile. Bliss. On the eleventh day of Xmas, Nigel Farage gave to me…. full of the Prophet Mohammed! Grrr! I get so ANGRY!!! On the twelfth day of Xmas, Nigel Farage gave to me…. …where was I? Oh yes. Pass the jodhpurs and fill another flask with the good stuff Gordo. 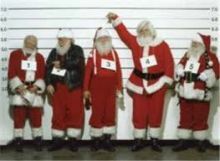 And a very Merry Chrishmas to ush all! The Twelve Days of UKIP Christmas!